We're committed to ensuring you've got access to the tailored support that you need to succeed. Whether you're encountering problems yourself, or worried about a friend's welfare, we offer a wide range of face-to-face and online support resources. SilverCloud is an online support system designed to help with a range of mental health issues. Our resources are intuitive, interactive and easily accessible, and can provide you with valuable support against anxiety, depression, stress and body image issues. SilverCloud is a valuable accompaniment to face-to-face counselling or support, and available immediately. 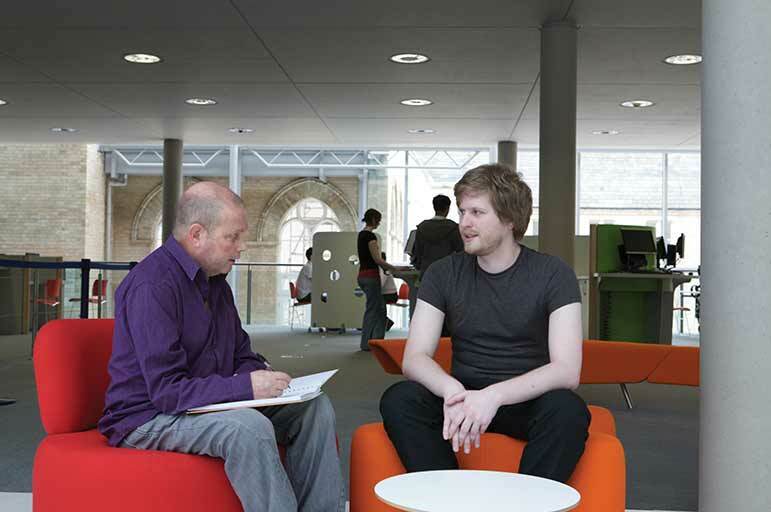 University life is exciting, but can come with its own challenges.Our confidential counselling service ensures that you're properly supported by the right people, to help tackle whatever issues you might be encountering — you'll have a safe place to talk about personal, emotional and psychological issues with a trained poressional. Our wellbeing section gives you comprehensive guidance on who to contact and how we can help, whatever the problem or time of day. Visit our website to learn more about how to access these services today. Healthy NTU — NTU's in-house health and wellbeing programme — helps you to make sure that you're looking after yourself properly. Led by our Student Health Development Officer, the programme offers support throughout your time at NTU, covering key health themes — from sexual health and dependency issues, to nutrition and emotional welfare. The programme also includes workshops and wellness sessions, as well as University-wide initiatives like blood donations — so get involved, and be a better you! NTU Sport's fantastic Play for Fun initiative. You can visit our health and wellbeing section for further details of what's on offer during this popular and eye-opening event.